African Union leaders and leaders gathered at the opening session of the 32nd Ordinary Summit of the Union in Addis Ababa, Ethiopia, to start the business. 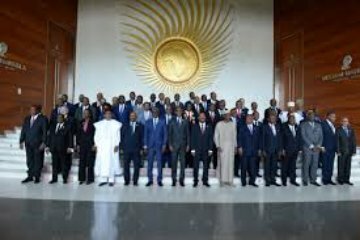 The closed session of the leaders and heads of state and government of African countries began (Today) Sunday morning in the Ethiopian capital of Addis Ababa, in the presence of President Abdel Fattah al-Sisi. In accordance with the African Union tradition, a closed-door session of leaders and heads of state and government of African countries will be held, during which the outgoing President of the Union, Rwandan President Paul Kagame, will review the achievements of his presidency on institutional reform.